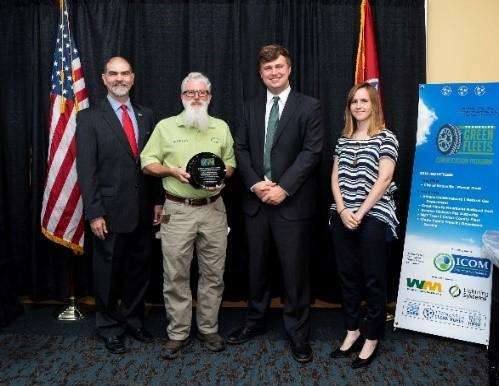 On Tuesday September 18th, Tennessee Clean Fuels inducted six new fleets into the “Tennessee Green Fleets” Certification Program. 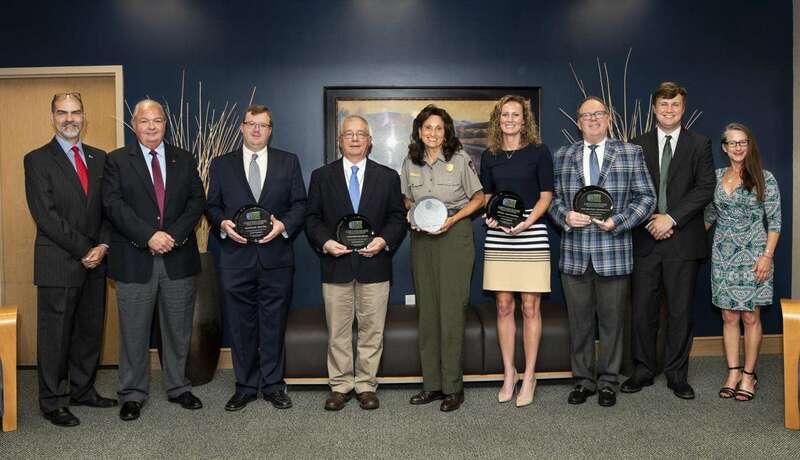 The fleets were recognized at the University of Tennessee, Knoxville during the fourth annual Sustainable Transportation Forum & Expo, which is managed by the Tennessee Department of Environment and Conservation (TDEC), Tennessee Department of Transportation (TDOT) and TNCleanFuels. 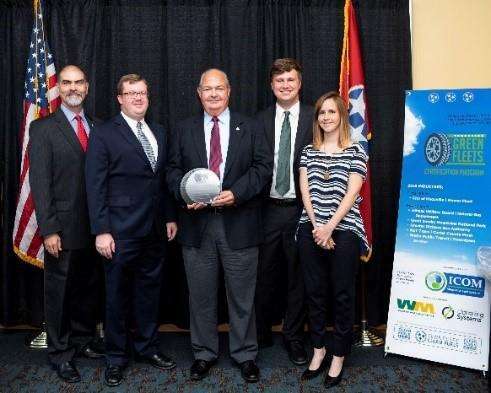 TNCleanFuels also assisted in setting up a 35-vehicle alternative fuel vehicle showcase that incorporated compressed natural gas, plug-in electric, propane autogas, hybrid, and other advanced vehicle technologies. 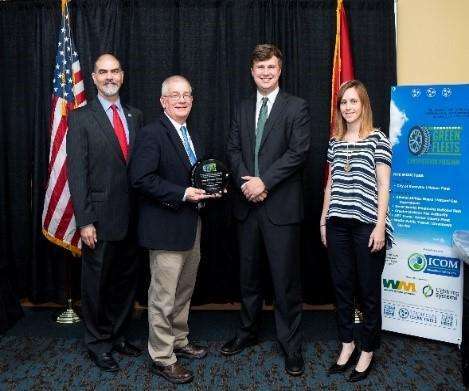 The Tennessee Green Fleets Certification Program was developed jointly by Middle-West and East Tennessee Clean Fuels. It utilizes performance-based metrics to analyze any fleet’s vehicle and fuel-use data and compare new actions they have taken to what their footprint would have looked like without those actions. A points-based, three-star system allows for certification at the 1-, 2- or 3-star level. The Program encompasses all fuel and technology options including biodiesel, natural gas, propane, electric, ethanol, hybrid, idle-reduction and fuel economy strategies such as car share, vanpooling, truck stop electrification, as well as non-automotive forms of transportation like bicycles and shooters. The applicant fleets that receive certification can promote their fleet’s greening efforts and include the certification status in their sustainability portfolio information. TNGreenFleets’ six newly certified fleets prevent a combined 575 tons of CO2 emissions from being released into the atmosphere ANNUALLY. Greater Dickson Gas Authority – 24% of their fleet – 16 vehicles – run on either compressed natural gas (CNG) or propane autogas. GDGA also operates a public CNG station in Dickson. They have collaborated with and contributed to numerous events and educational opportunities, including for the nationwide 2017 NGV Rally, for which they were a stop. WeGo Public Transit | Downtown Nashville Service – WeGo currently runs nine electric Proterra buses that are in use in downtown Nashville to provide public transit services; one bus serves as a backup as needed. One quarter of all the energy needed to power Nashville’s downtown buses is now attributable to electricity, which generates almost 500 tons of CO2 emissions reductions annually. The buses are brightly colored and highly visible; can’t miss them when visiting downtown Nashville. Athens Utilities Board | Natural Gas Division – Nine of AUB’s 21 vehicles in the gas division are natural gas vehicle – an impressive 43% of the division. AUB also maintain one of the longest-serving public CNG stations in the East Tennessee area, located right along I-75. They are also eager to assist in outreach and alternative fuels education efforts throughout Tennessee and have done so multiple times. 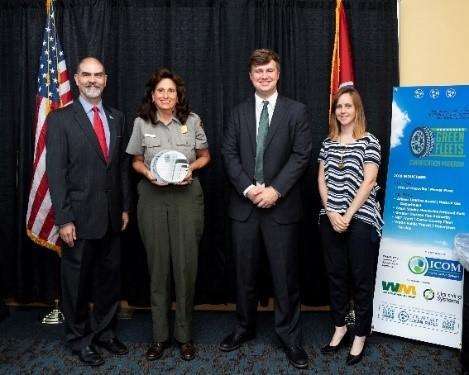 Great Smoky Mountains National Park – The National Park Service started using biodiesel in their zero-turn mowers as B20 in 2004. They unveiled their propane program in 2014 and now have 6 propane work trucks and 5 propane zero-turn mowers. GSMNP is a long-time partner in education to promote action for emissions reduction. 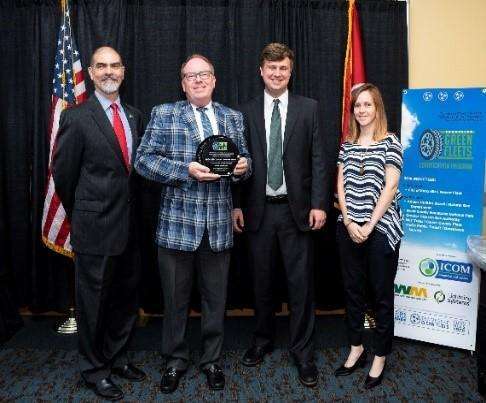 NET Trans | Carter County Fleet – Through their partnership with Alliance AutoGas, NET Trans has developed plans to transition many of their vehicles across their service area in Northeast Tennessee. They have also worked with AAG on Greene County’s first public propane refueling station, a first of its kind in Tennessee! NET Trans uses propane autogas in six Ford Transits that serve several counties out of their Elizabethton domicile site. They are also helping drive education on propane opportunities in the Northeast Tennessee region. City of Knoxville | Mower Fleet – The City of Knoxville began investigating a switch to propane mowers in 2014. Since then, the City has converted its first two mowers in 2015, adding nine more Kubota OEM propane mowers in 2016, and another six Ferris mowers in 2017. 19—exactly half—of the City’s zero-turn fleet runs on propane. They also began a test run with renewable diesel in 2017. This map shows the locations of the six newly certified TNGreenFleets across the state. 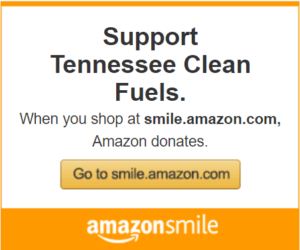 About Tennessee Clean Fuels: http://www.TNCleanFuels.org – The Middle-West and East Tennessee Clean Fuels Coalitions are both nonprofit 501(c)3s working proactively with fleets across Tennessee to reduce dependence on petroleum and improve air quality and sustainability. 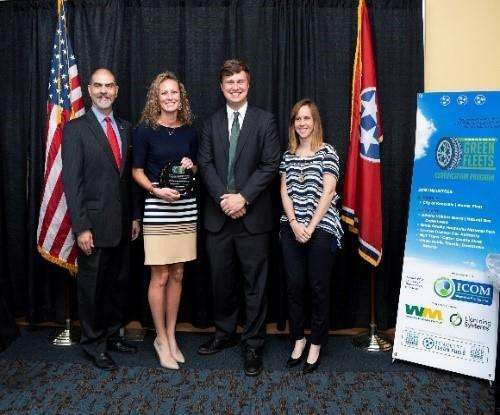 The two coalitions are part of the DOE Clean Cities Program and respectively serve the western and eastern halves of Tennessee. They work to develop partnerships that assist fleets in meeting their goals toward implementing petroleum-saving technologies and fuels.